Abruzzo is a rugged, mountainous, and rural region in Italy. 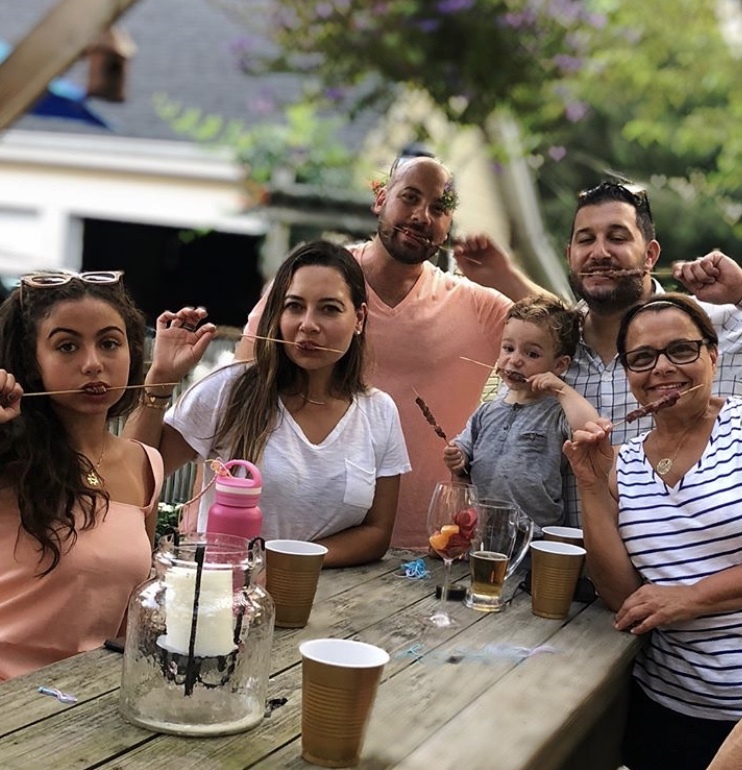 From my grandparents I learned how the ancient people from Abruzzo have always made everything themselves, leaving no waste and nothing for granted. Among the many foods of Abruzzo the most well-known is arrosticini, a unique skewer of small cubes of lamb, salted and cooked over a fornicello. 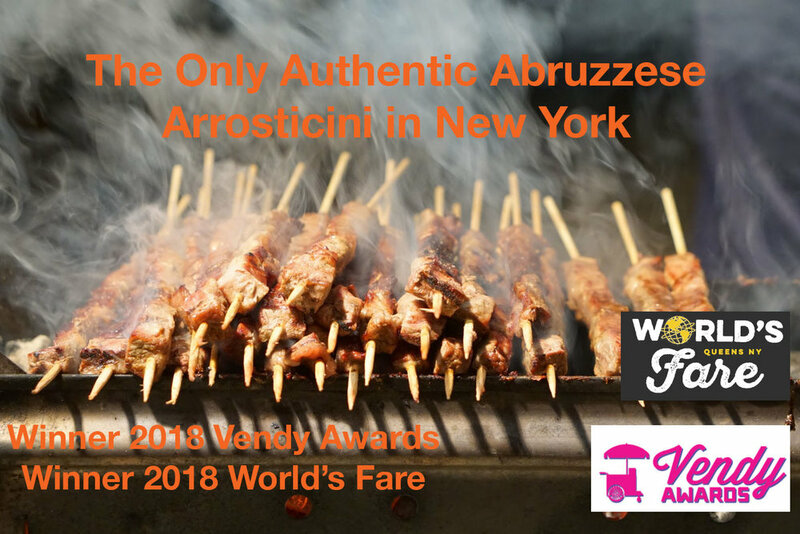 D’Abruzzo NYC has become known for its award-winning arrosticini. 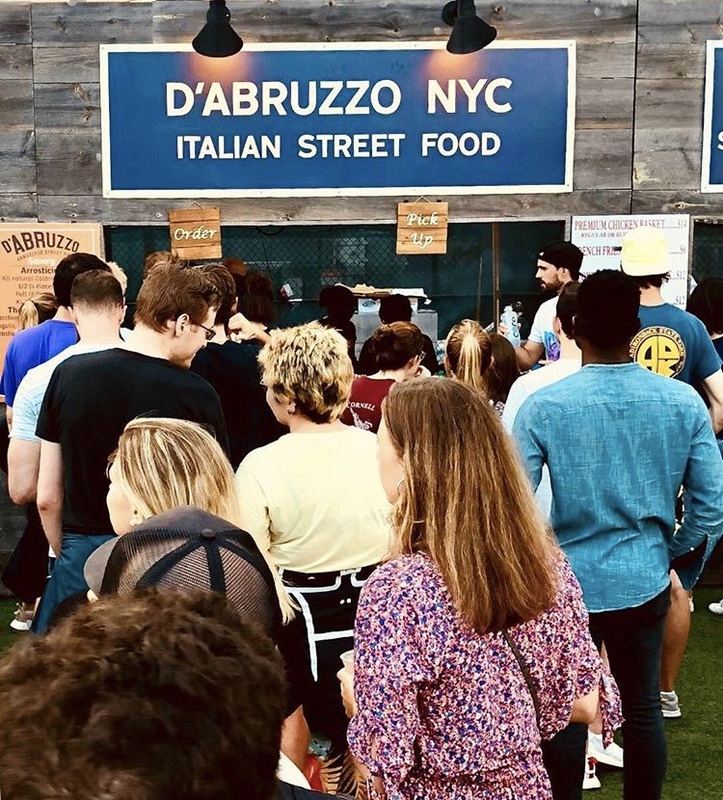 Our primary location is at the Smorgasburg markets. 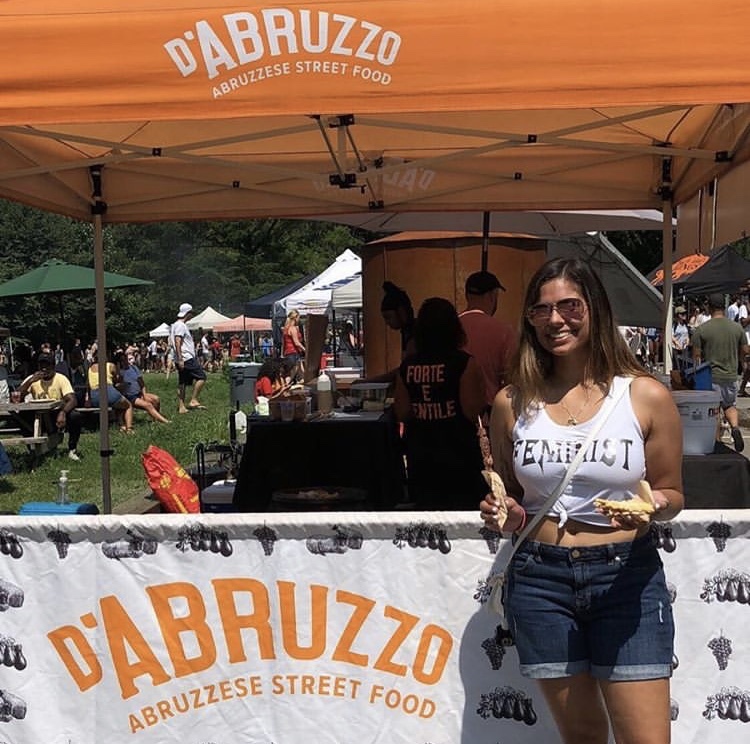 D’Abruzzo also provides special event catering services. We hope to see you soon. Come hungry: one order is never, ever enough. 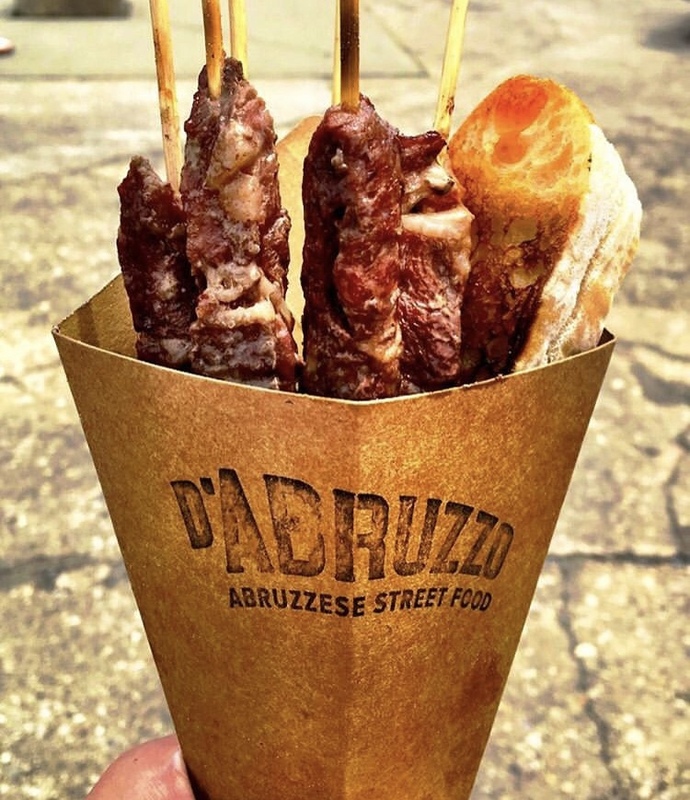 Arrosticini are a staple of traditional foods from the Abruzzo region of Italy. Made of mutton or lamb, cut into small pieces and skewered. Between the meat are small pieces of fat which keep the Arrosticini tender and enhance the flavor while cooking. The skewers are cooked quickly over high heat of charcoals using a grill that best resembles a house gutter. Commonly known as a furnacell'. Arrosticini are traditionally served with slices of fresh bread and Olio Santo. Olio Santo being an extra virgin olive oil infused with Spicy Abruzzese peppers grown and dried in house. It is not a sit down meal. 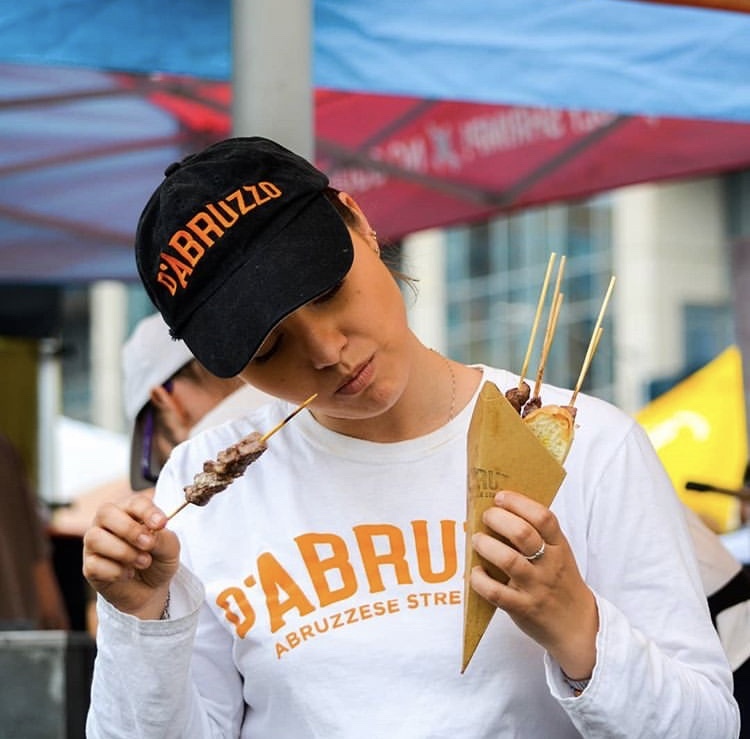 Instead Arrosticini are eaten with bare hands, pulling the meat off the skewer piece by piece using ones teeth. Simple and perfect. 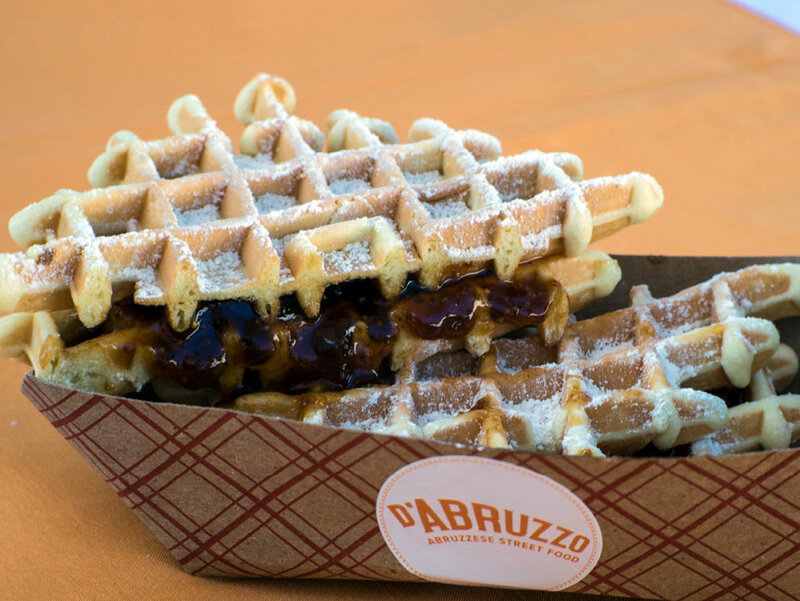 Traditional Abruzzese waffle cookies which are made in 2 varieties. Thick and soft or thin and crispy. 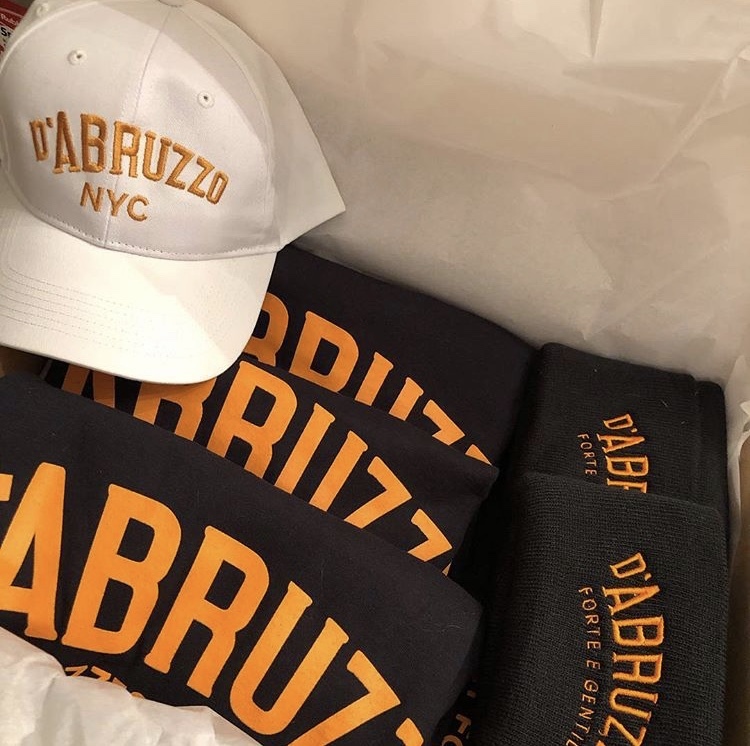 At D'Abruzzo NYC, we make both. Originally reserved for special occasions such as weddings and feasts, they are now a staple in Abruzzese families as an everyday sweet. Going over Nonna's house wouldn't be complete without a couple pizzelle sandwiched together with a homemade marmalade. Lupini are a popular bean in the region of Abruzzo. Eaten in abundance during the Christmas season and during various feasts honoring patron saints. When picked fresh and dried, lupini are a toxic bean. In sticking with Abruzzese tradition, we prepare our lupini just as our ancestors, In a simple sea salt brine for 2.5 weeks. It is only after this process, that the lupini are ready for consumption. They are a savory treat unlike any other bean you have tried with one of the richest sources of protein and a whole range of amino acids. A panino which marriages the flavors of Abruzzo in one. 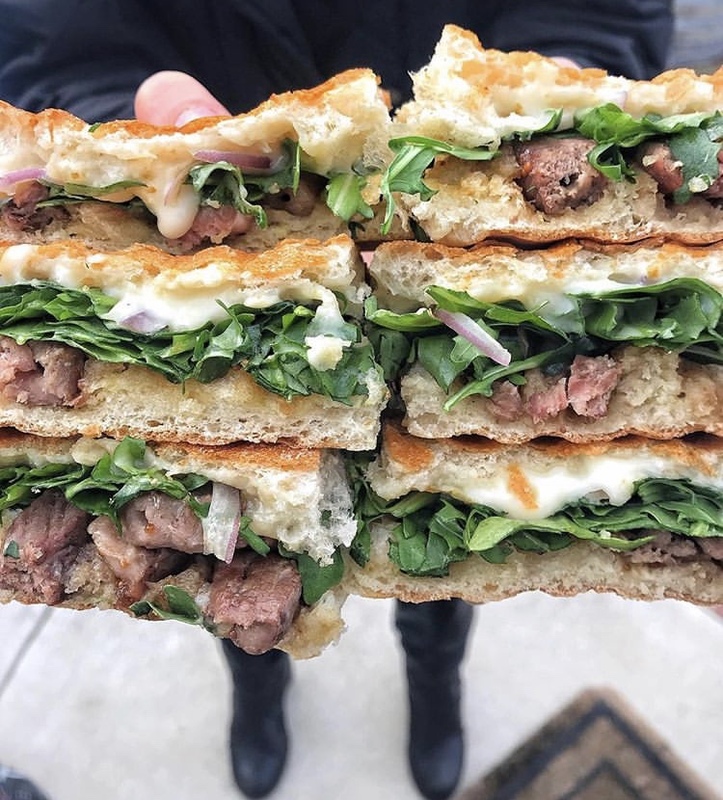 Our Arrosticini, stracchino cheese, house made fig jam, olio Santo, arugula and red onion pressed on a ciabatta. Contact us in advance to place an order for any of the items below. Carefully selected wine grapes cooked on a low heat for 8 hours until achieving the consistency of a maple syrup. Great in desserts or an accompaniment for cheeses. A true symbol of cucina povera. A meatless meatball consisting of cheese, egg, breadcrumbs and spices. Fried and added to a simmering tomato sauce. Baked ravioli filled with house made cows milk cheese and a selection of aged pecorino and parmigiano cheese. Light fluffy cream puffs filled with a delicious vanilla cream. Maccheroni alla chitarra, ravioli, maltagliati, sagne, lasagna. Abruzzese style crêpes sprinkled with aged pecorino cheese and rolled up. These crepes are then placed in a bowl and hot broth is ladled over them. Abruzzo is a rugged, mountainous, and poor region in Italy. From my grandparents I learned how the ancient people from Abruzzo make everything themselves. From growing vegetables, jarring sauces, making wine, curing meats, to so much more: Anything that could be grown, made, fermented, or distilled by them was done by them. Passion and love runs through Abruzzese veins and an unwavering pride in their culinary traditions and heritage. Abruzzo is home to the largest national park in Europe: La Majella National Park. It is a rugged place that is unchanged from generations ago. It does not take long to find complete isolation. In its cliffs are carved chapels, some of which are from the 1300s. Around and throughout the park are towns like the one my family is from, San Tommaso. Located around 15 minutes from the “city” of Caramanico Terme, San Tommaso is standing still in time. While many residents moved out some remain and have lived the same way their families did many years ago. Life in San Tommaso was–and is still not–easy. The food you eat is the food you grow. Some people work the land while others keep animals or travel out of town for jobs. In such a life everything is precious and valuable, and nothing goes to waste. I grew up with this mindset. My grandparents and my father came to the US in the late 1960s. 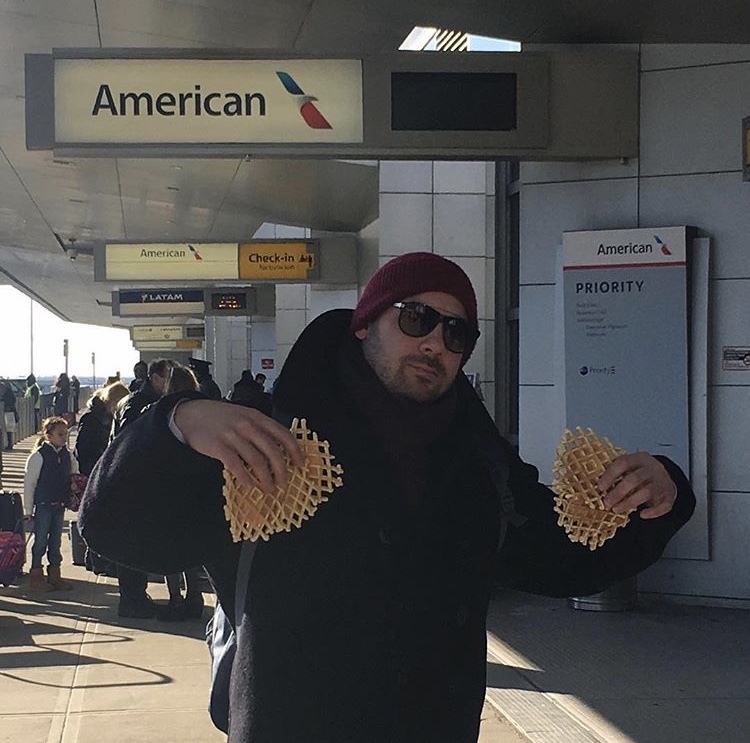 Although America was a new place some ways never disappeared. My nonno always had a massive garden and my nonna still cooked each day. The food she prepared is the quintessential Italian because it is, well, simple. It’s about the ingredients. Tomatoes are in season in August, not February. The sauce is jarred and used throughout the year. The wine is made in la cantina. 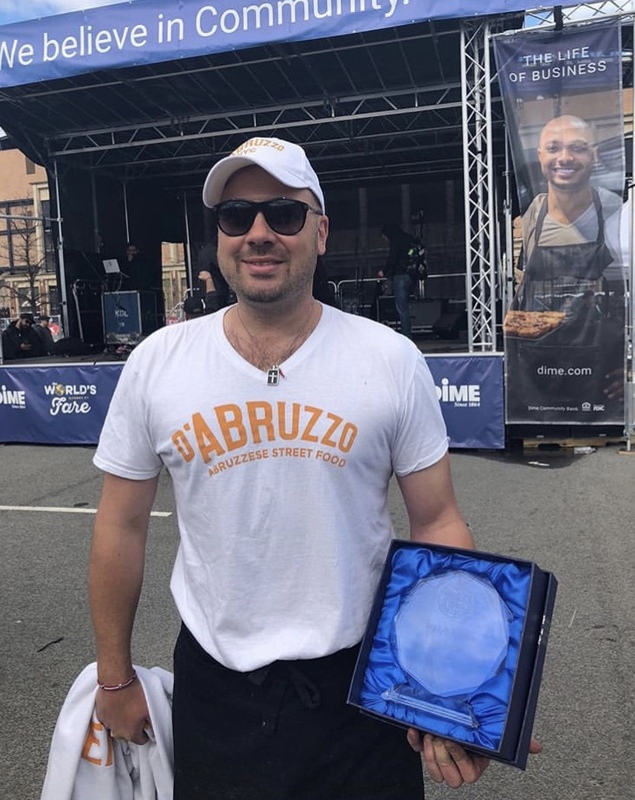 D’Abruzzo celebrates the food of the region with a nod to the simplicity. Food that is fresh, in season and delicious. The motto of Abruzzo is Forte e Gentile: Strong and Gentle. From the sheer cliffs of the Gran Sasso to the seaside fishing trabocchi in Pescara that is what Abruzzo is, and I am happy to introduce you to this incredible place.